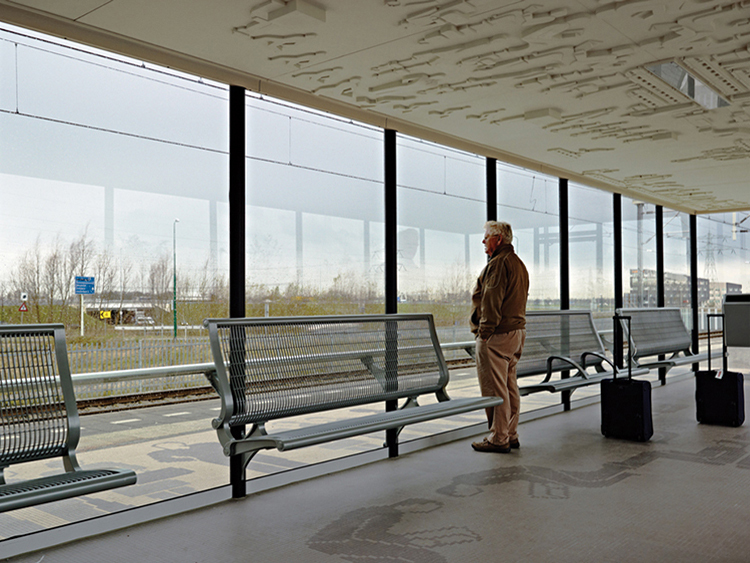 De Reiziger (The Traveler) is part of a project initiated by the Bureau Spoorbouwmeester who’s aim was to make waiting on the train at stations throughout the Netherlands a more pleasant experience. 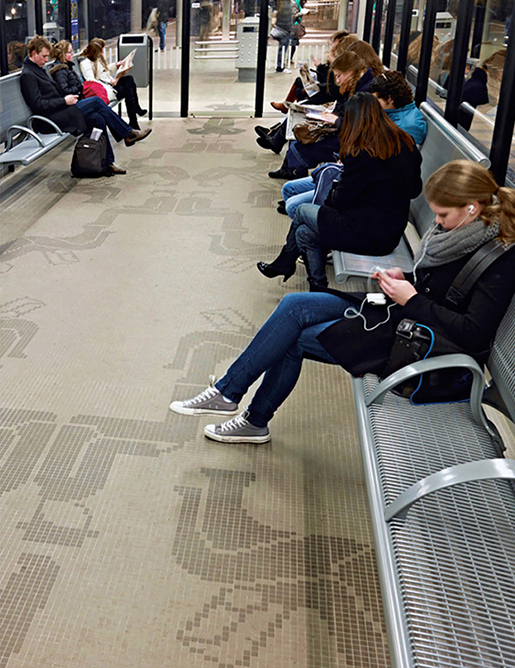 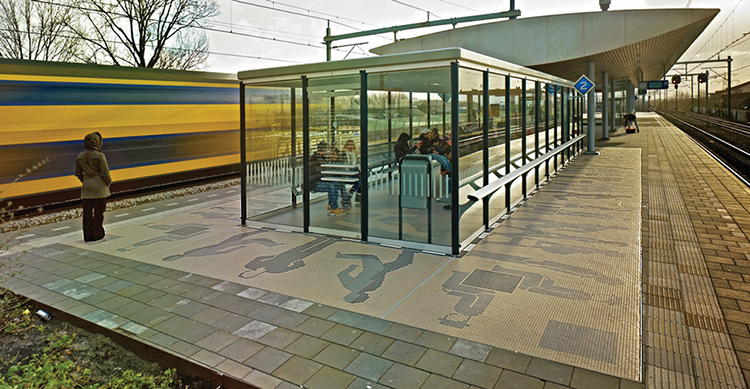 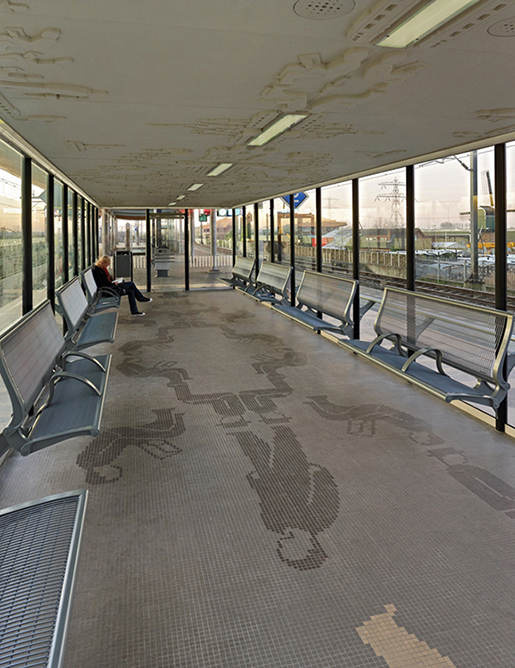 The work is a design for the ceiling and floor of the waiting room and platform at train station Breukelen. 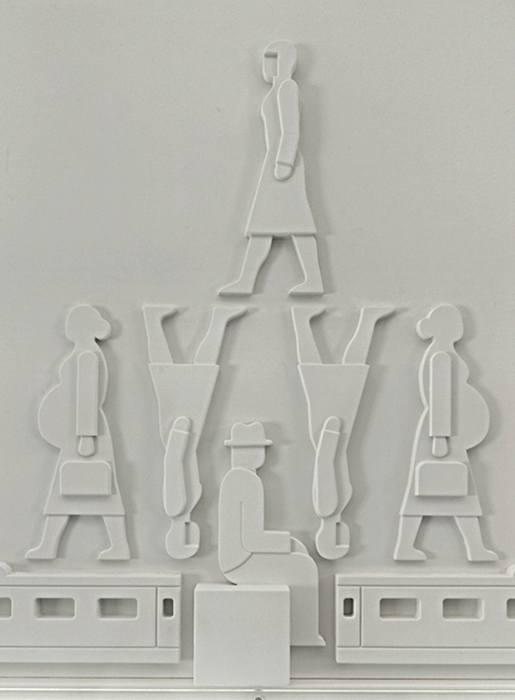 The work is based on the Isotypes developed by Gerd Arntz en Otto Neurath in the 1930’s. 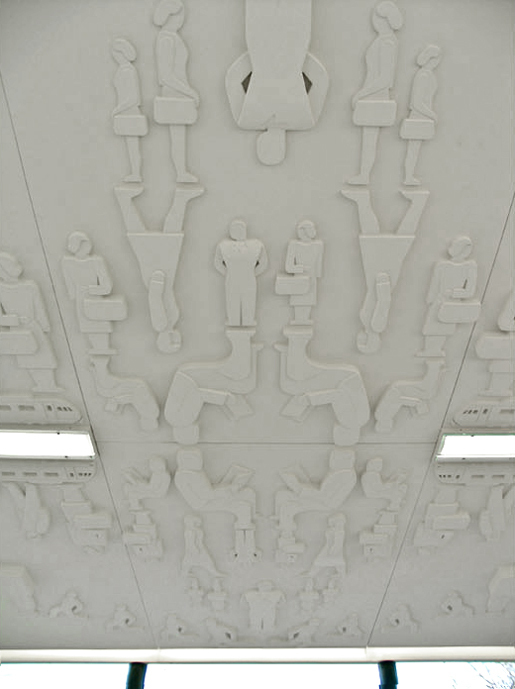 I reinterpreted Arntz’s designs to pixel-like drawings as a mosaic floor and as three-dimensional plaster figures on the ceiling. 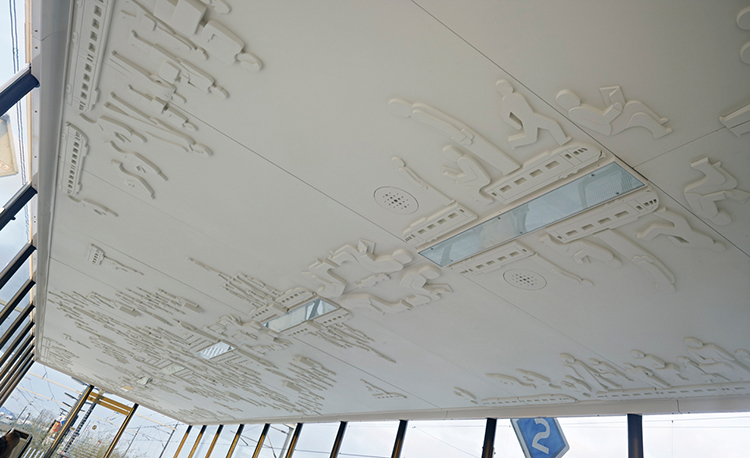 By means of mirroring, rotation and repetition of these elements, the designs and the compositions I placed them in acted as constellations that balance between storytelling and decoration. 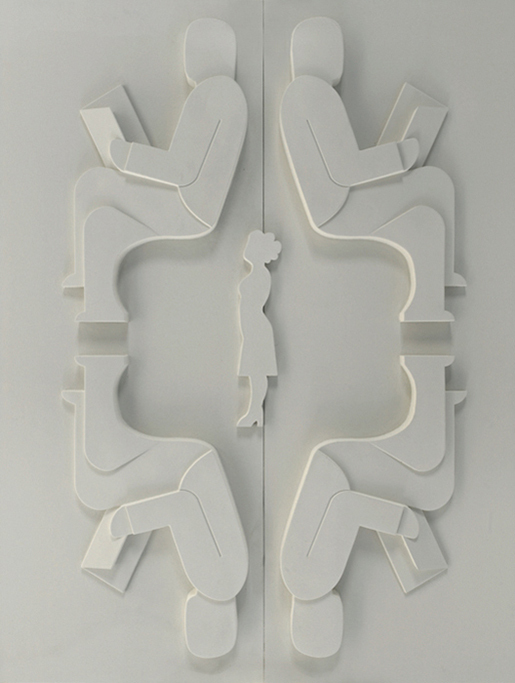 The different ways I brought them into relationship with each other – as timeless personages – depict a group portrait of The Traveler. 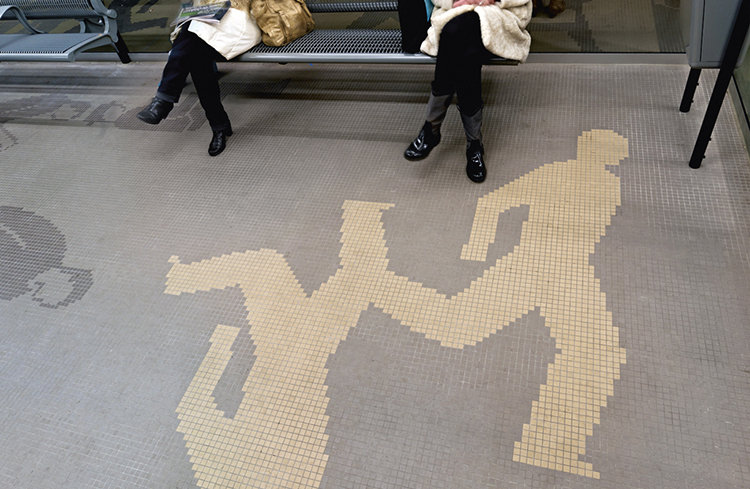 The commuters using the waiting room are invited to recognize themselves in these figures, but also reflect on and immerse themselves in the details of these familiar tableaus related to the phenomena of waiting. 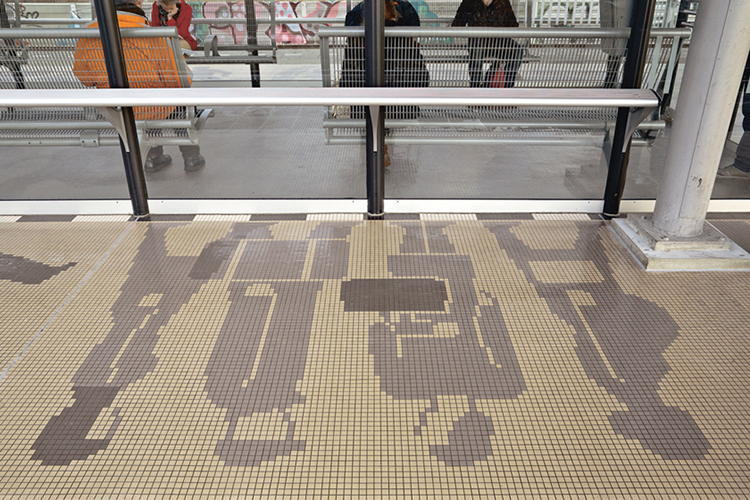 an International System of Typographic Picture Education.